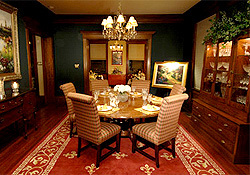 The Fleur-de-Lys Mansion luxury bed and breakfast Inn located in beautiful St. Louis, Missouri's awaits your visit. 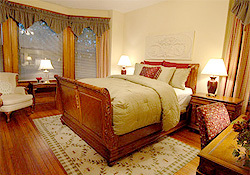 Upon arrival you will understand why this is such magnificent inn and rated th #1 bed and breakfast in the area! 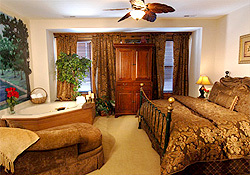 Four spacious guest rooms with contemporary comfort and timeless elegance awaits your presence. Choosing The Fleur-de-Lys as the perfect destination for an unforgettable honeymoon, intimate wedding or other social or business needs will be held in uncompromising style and grace. 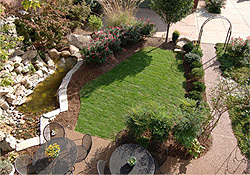 Looking for the most unforgetable romantic getaway, and an elegant alternative to chain hotels for business or leisure stay at The Fleur-de-Lys St. Louis Missouri where your stay will be truly memorable. Please do not forget to check our special packages . We will be looking forward to hearing from you. Call and make your reservation today.